Do you want to update the look of your home, or improve energy efficiency? 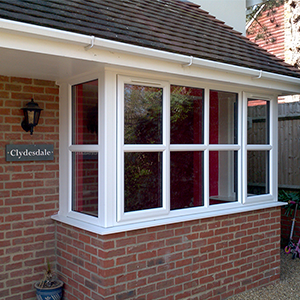 New windows are a fantastic way to enhance the appearance of your home. Selecting the highest quality windows will also save you money on your bills and reduce security risk. At Fairweather Windows we provide a wide range of styles along with a choice of handle finishes and a shoot bolt locking system. All products are available in a range of colours. Our UPVC windows are all made using Profile 22, which is the leading manufacturer in Britain and come to the customer with an ‘A’ rated efficiency level as standard. In fact, all our windows, doors and buildings are ‘A’ rated for efficiency. To find out more or to arrange a time when we can measure up and issue an accurate, free quote, please call us on 01279 813888. We welcome all enquiries and look forward to speaking with all potential customers. Pilkington’s textured glass gives the best of all worlds. You continue to receive maximum light into your home yet can select individually tailored levels of privacy. In addition, when you furnish your windows with Pilkington textured glass it becomes a decorative, attractive feature itself. Choose from a wide selection of original designs including the market leading etched glass range that we provide.